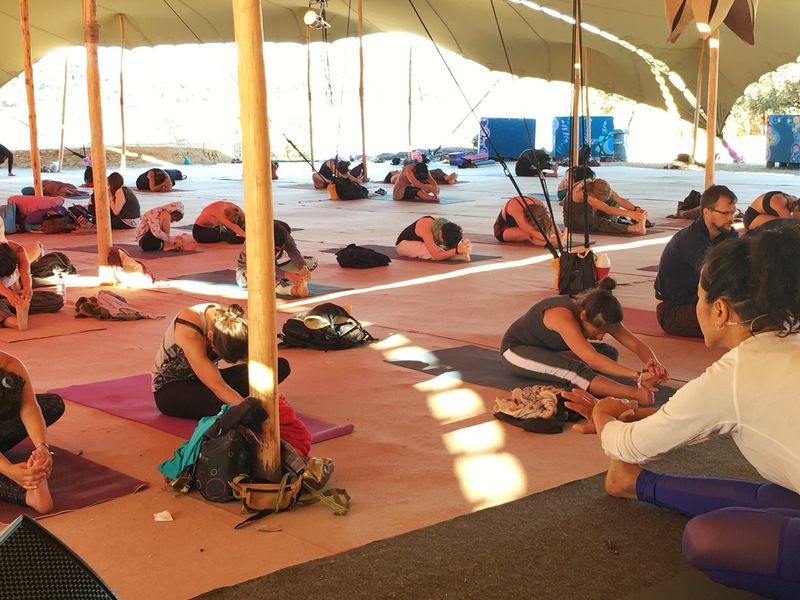 When Filipa Veiga, Portuguese ashtanga teacher and writer, asked me to join the contingent of yoga teachers offering classes at the Being Gathering 2017 at Boomland in Idanha-a-Nova, Portugal, it put into motion a plan to spend the summer in Europe. I wanted to go see my teacher in mid August in London, I was suddenly committed to my first festival date in early July, what to do then with the time between? Before I knew it, I had before me a bit of vacation, time to spend with beloved friends, a restart to a personal project that had been put on hold, and a small offering of teaching dates in Portugal, Romania and Vienna. I’m excited for this period after a 7 month stint in Cairo, where I will return to continue teaching after August. These breaks from routine, the opportunities to connect with other teachers, especially to be a student myself, to tap into the global movement having to do with yoga and healing, allows me time to recharge and also ruminate on what exactly we are doing in our day to day, what is this practice, what is it’s purpose, why do we come to the mat day after day? 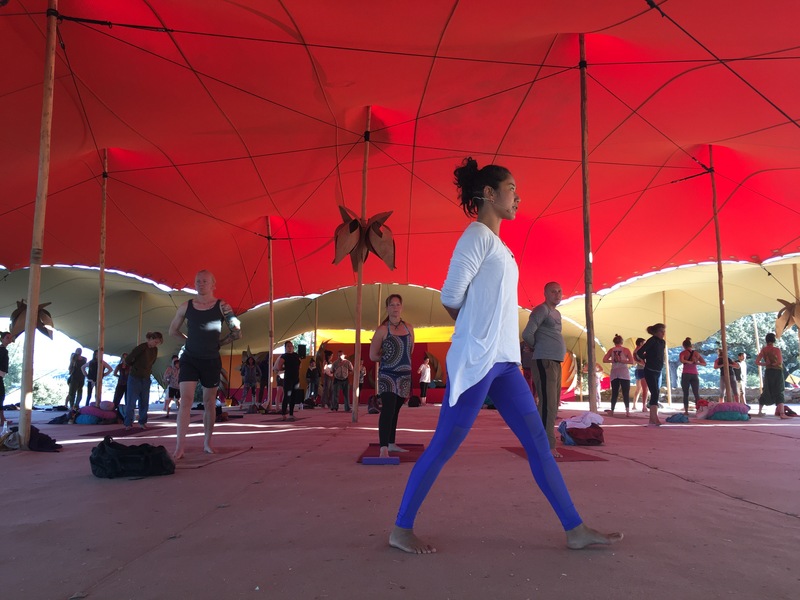 On the last day of the festival, I introduced ashtanga yoga as a tool for BEING, for being a better person, for being more focused, more attentive, more present. I alluded to the great Patanjali, to the first line of the Sutras: “Atha yoganuśasunam” Now, begins yoga. It brings us to the present moment. I ended the class with Patanjali, as well, and how he described yoga practice as “dirgha kala nairantarya asevitam,” a long time, without interruption, with whole hearted devotion. And so begins the summer for me, starting with a most extraordinary of gathering of people, from healers to storytellers, green warriors to spiritual seekers, but also with a great sense of what it means to BE in yoga, how we have a responsibility to be as present with ourselves, our relations, our fellow creatures and planet as much as possible and how practice doesn’t end after our hour and half of sweating and grunting on the mat, it goes on into our day, in every action, in every breath. Join me in this extraordinary experiment of being through the ashtanga yoga system. I teach in Yoga Lisboa July 11, 12, 13 (www.yoga-lisboa.com), Asociata Ashtanga/Ashtanga Yoga Romania (info@anahata.ro) on July 17-30, then finally in Mysore Vienna from July 31 to August 8 (www.mysorevienna.com). 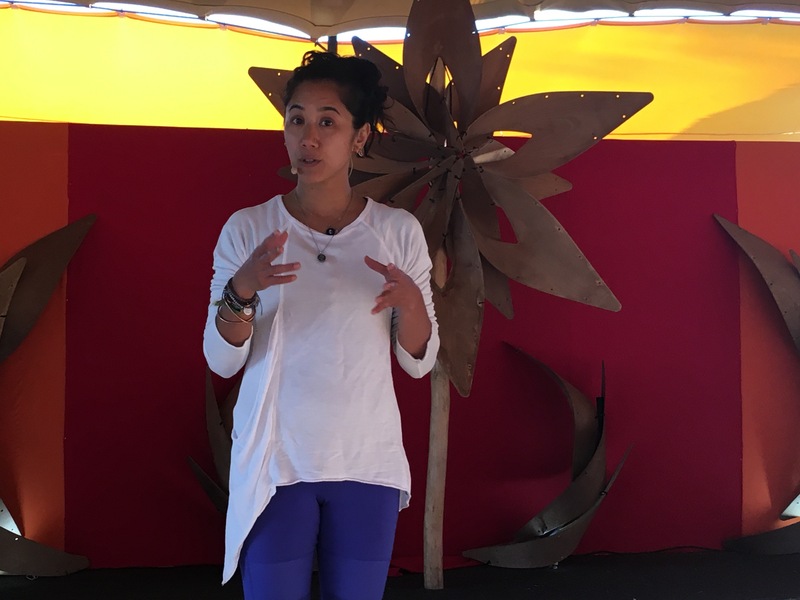 Photos taken by Clara Lua, Being Gathering, July 2.